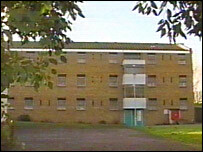 A Kent prison has been commended for the progress it has made since a damning inspection in 2003. Cookham Wood Prison, in Rochester, has shown a marked improvement and many recommendations made then had been achieved, according to inspectors. Improvements in reception, first night and induction arrangements, healthcare and detoxification were noted by the chief inspector of prisons. However, inspectors found there was still a problem with overcrowding. Inspectors who visited the women's prison in May discovered many inmates still had to share cramped cells meant for one person. Their report stated that a recommendation made in October 2003, that cells designed for one prisoner should not be used to accommodate two, had been rejected on the grounds that "overcrowding is necessary to cope with the rise in the prisoner population". Inspectors also found little work was being done with the 15 prisoners serving life sentences and more staff training was needed in self-harm, suicide prevention and anti-bullying. However, they said relationships between staff and prisoners remained mutually respectful and there was found to be much more purposeful activity and a greater focus on resettlement. Chief inspector of prisons Ann Owers said: "Overall, managers and staff at Cookham Wood are to be commended for the progress made since our last inspection, in the face of continued overcrowding." She conceded there was still further work to do, particularly to ensure that family links could be maintained, and the needs of life-sentence prisoners met.